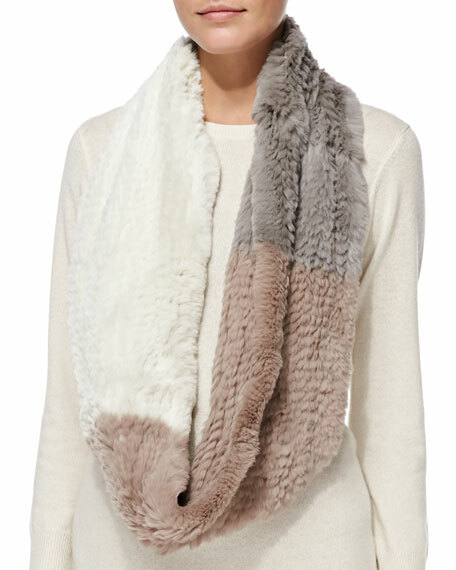 Jocelyn infinity scarf nestles around the neck in soft colorblock rabbit fur. Jocelyn colorblock dyed rabbit fur (China) scarf. Circular infinity design loops around neck.